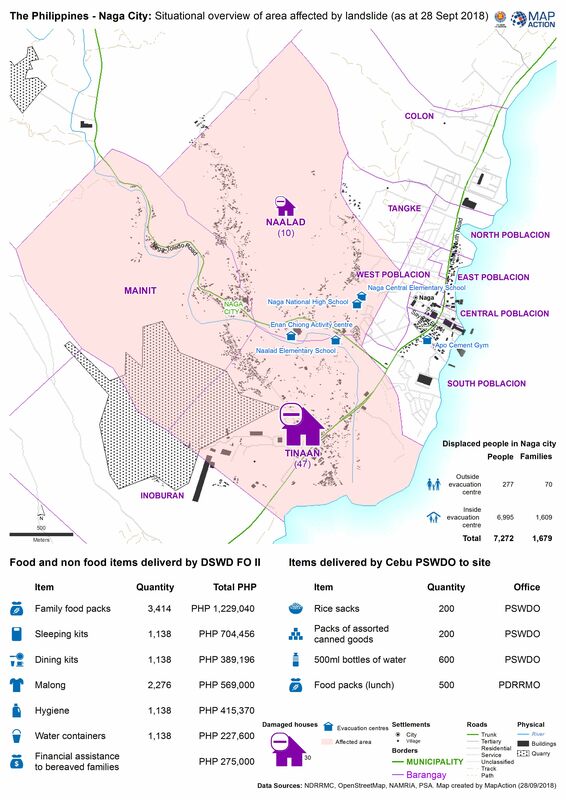 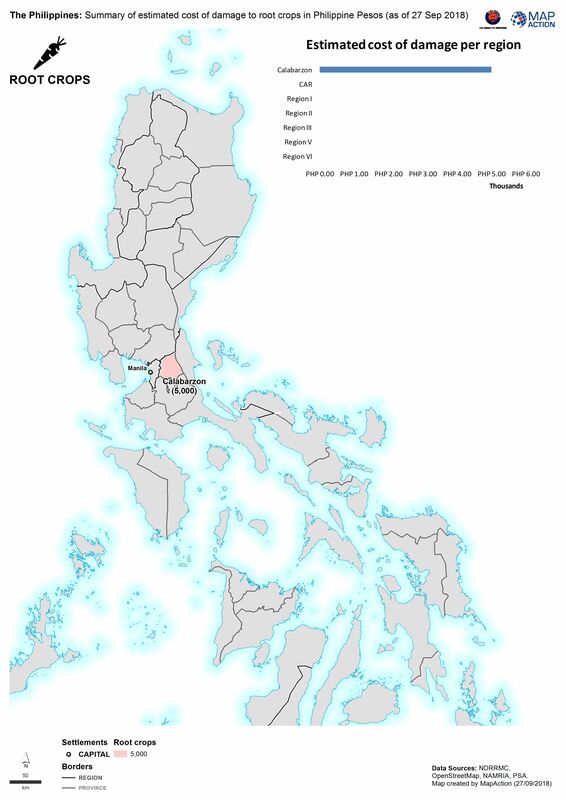 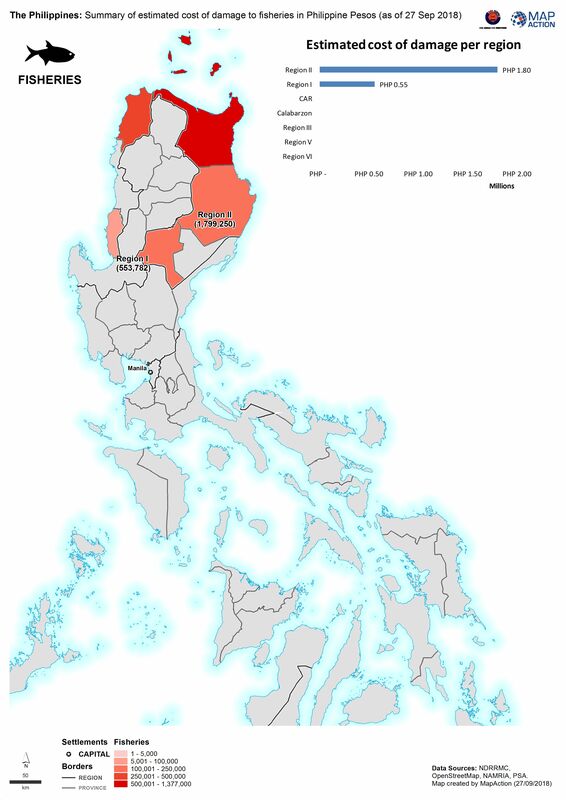 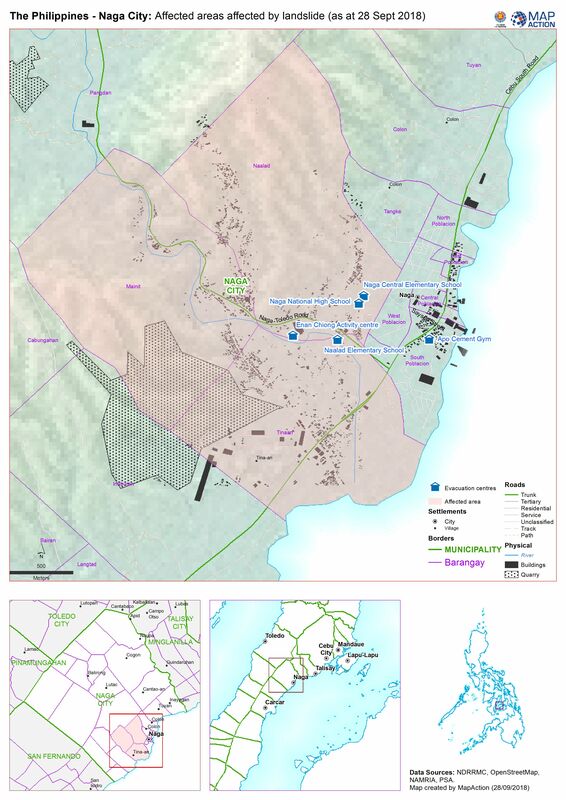 Map shows the affected by the landslide in Naga City, Cebu. 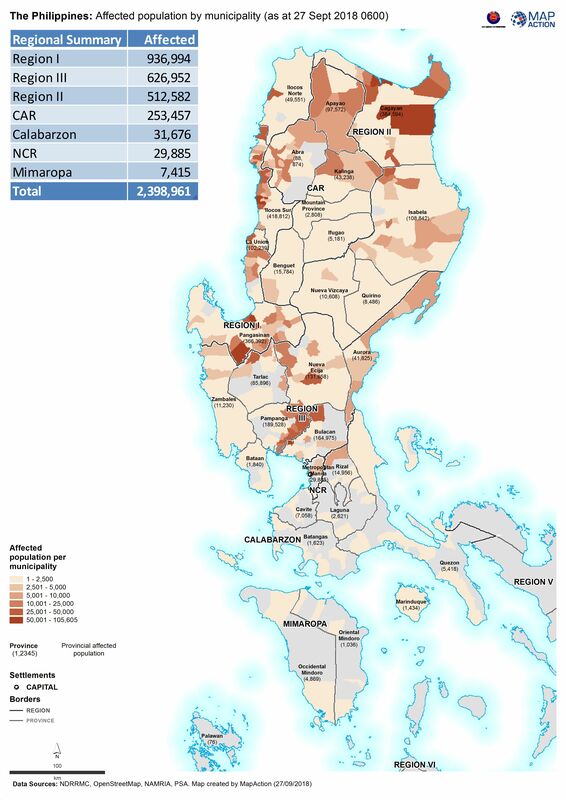 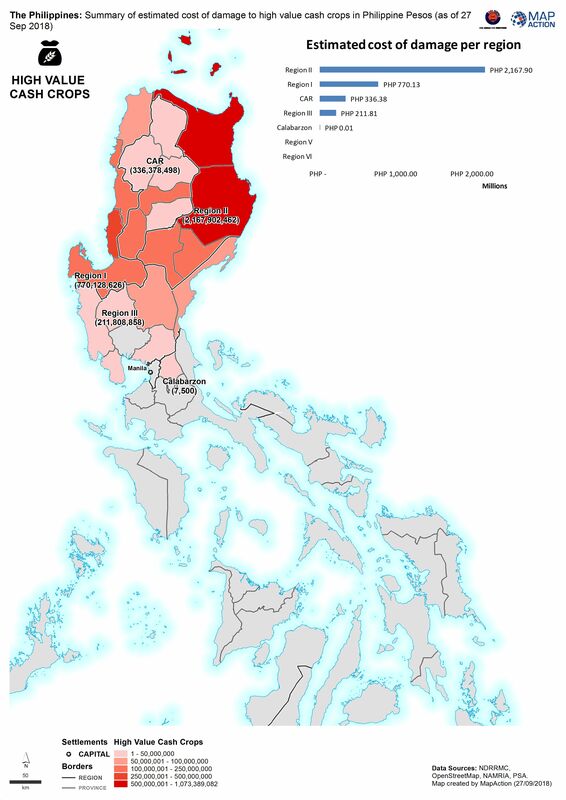 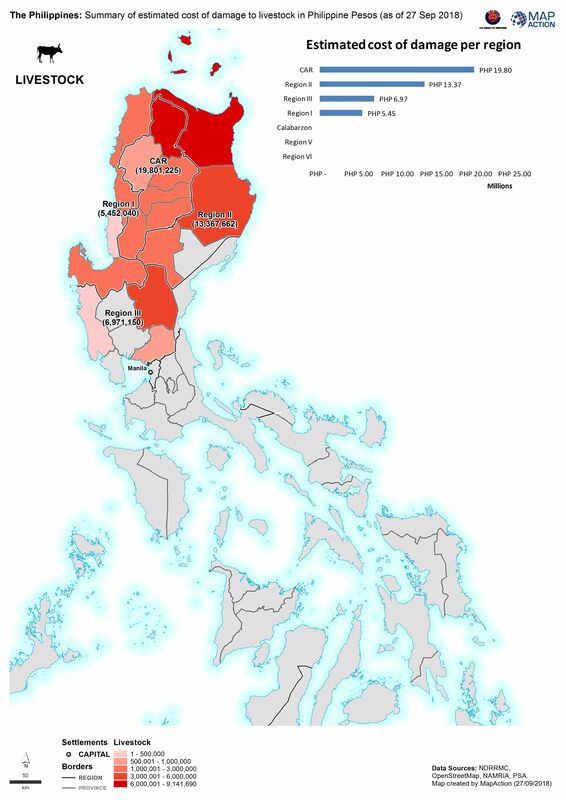 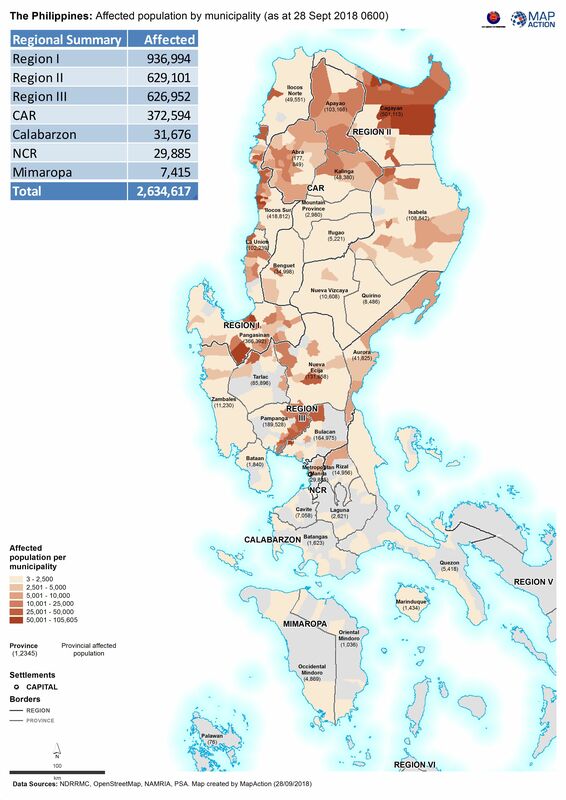 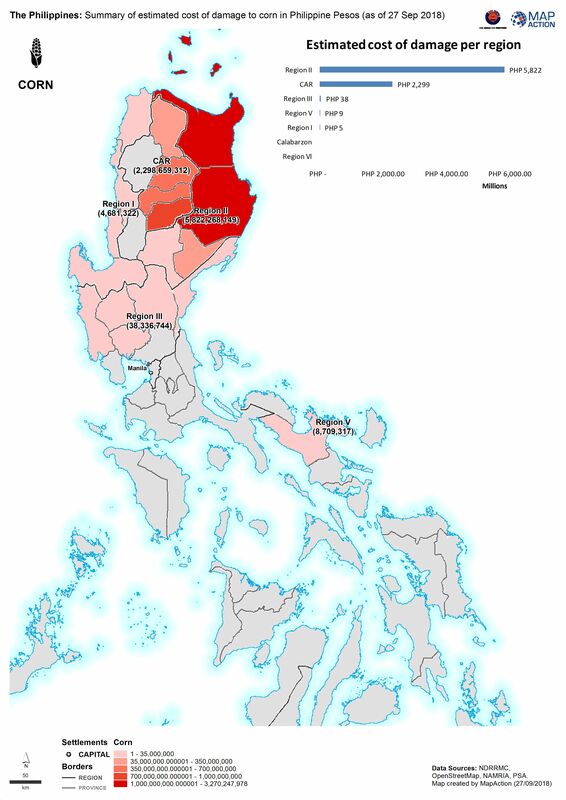 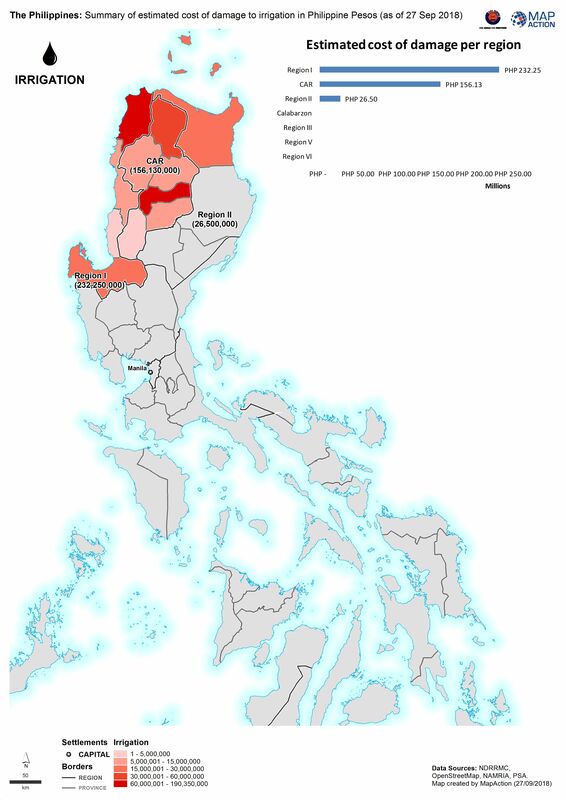 Map shows the reported number of affected people per province. Map shows the reported estimated cost of damage to root crops. 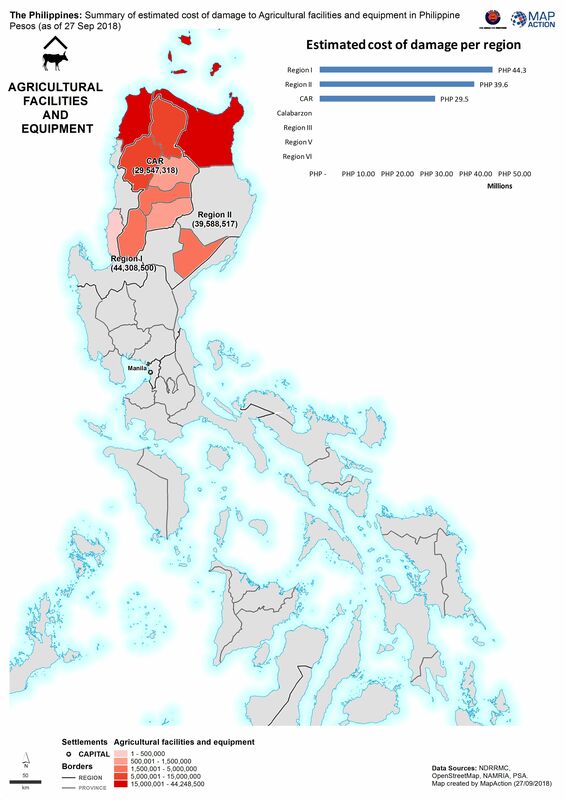 Map shows the reported estimated cost of damage to rice. Map shows the reported estimated cost of damage to the agricultural sector. Map shows the reported estimated cost of damage to livestock. 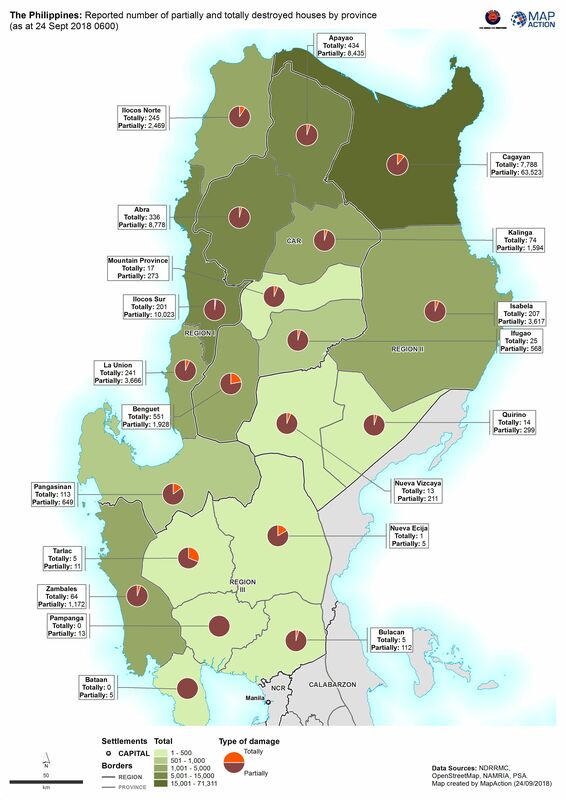 Map shows the reported estimated cost of damage to irrigation. 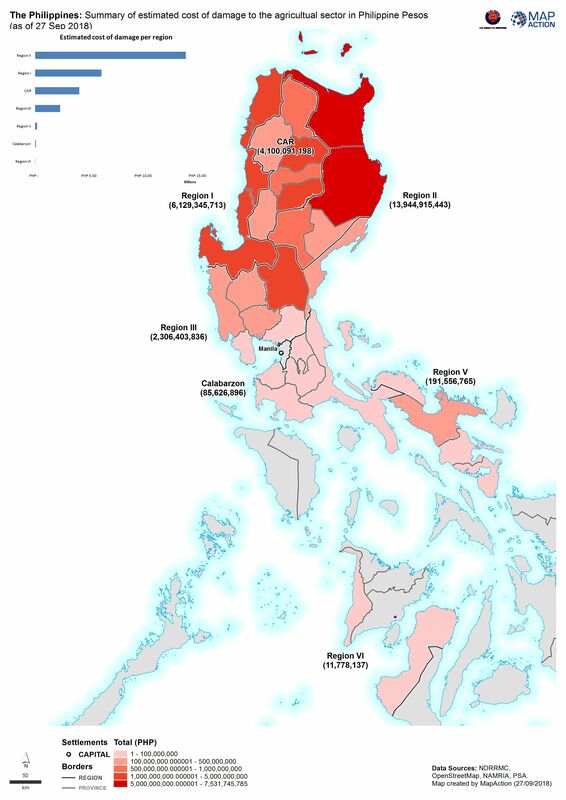 Map shows the reported estimated cost of damage to high value cash crops. 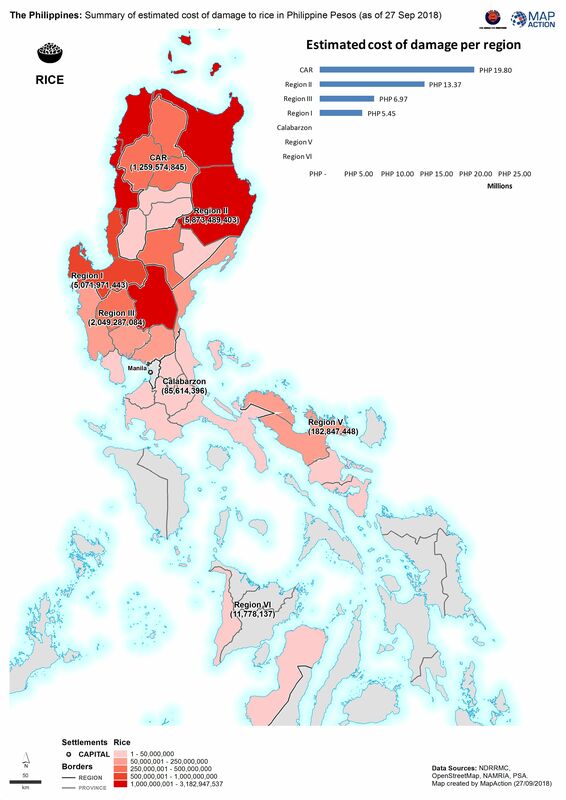 Map shows the reported estimated cost of damage to fisheries. 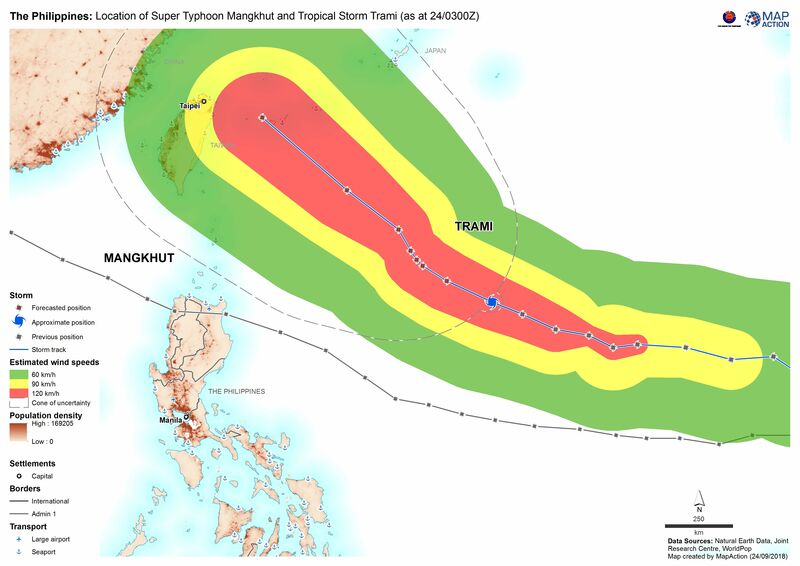 Map shows the paths of Super Typhoon Mangkhut and Typhoon Trami.